Our range of products include calcium acetate anhydrous and calcium acetate. 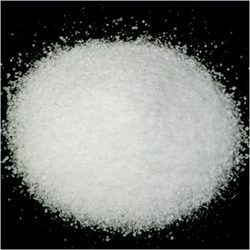 We are one of the leading manufacturer and supplier of Calcium Acetate Anhydrous.We obligated to meet the quality standards as per the customer demand. We are one of the leading manufacturers, supplier, exporter and stockist of Calcium Acetate across India. Calcium Acetate Monohydrate E263 is used in candy and confections, cake batters and mixtures, pie fillings, puddings, certain cheeses, gelatine, snack foods, sweet sauces, bread and baked foods, pet products. 2. In Beverage Calcium Acetate can be used in beverage. Calcium acetate E263 binds phosphate to lower blood phosphate levels in kidney disease. It is also used as Fragrance Ingredient; Masking; Viscosity Controlling in cosmetic. Calcium Acetate Monohydrate E263 can be used as calcium supplement in pet foods.